You will meet a maximum of eight Danish and/or international students interested in your company and be able to talk to each one individually for up to 15 minutes. Thus, you get the chance to present your organization while simultaneously receiving an impression of our students and their competences. Individual 15-minute-meetings with students. Here you can learn more about the students and see if there is a personal and professional match. 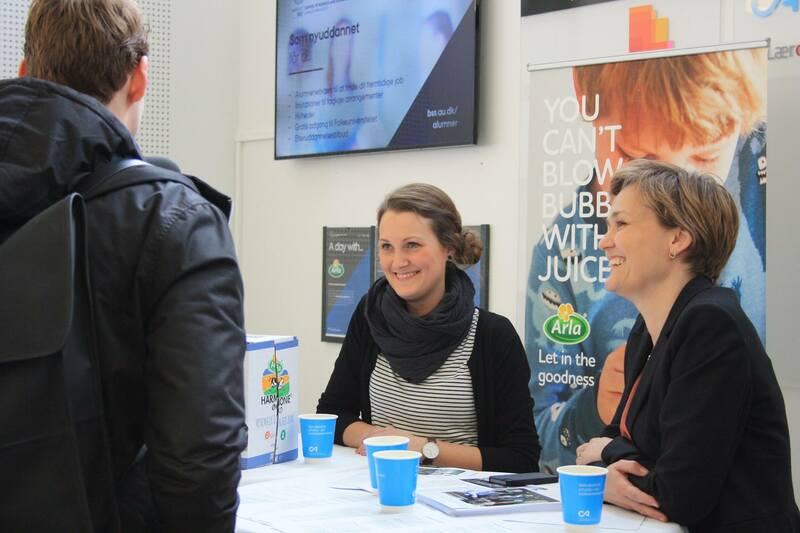 Meetings between the students and the companies without prior agreement (Career fair). When signing up, you state which kind of students and competences your company is looking for. Afterwards, our students receive a list of participating companies and choose which ones they would like to meet based on their interest and competences. Thus, we make sure that the students you meet fit your company’s requirements. Our main degree courses in Herning are Engineering with a major in Business Development and a Master level education focused on International Marketing. You can read more about the campus in Herning here. Your individual conversations with the students can be held in either Danish or English. The last day for signing up is 1 February 2019. We are able to include concrete job postings and projects if sent to john.hansen@au.dk on 1 February at the latest. The earlier we receive the job postings, the larger the chances are that our students are prepared for your company’s requirements. The individual conversations with our students can take up to 15 minutes. In that period, you can get to know the student and see if there is a personal and professional match with your company. After the individual conversations, you can continue to network with the students in a less formal manner. Your company will be supplied with a coffee table in our common room. You are welcome to bring roll-ups, flyers, posters etc. Have a pop up stand for a day to meet the students face-to-face. 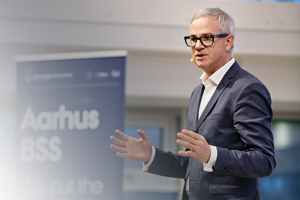 Access the insights, expertise and resources of more than 15.000 other alumni from Aarhus BSS.